Adrenal glands are responsible for the production of the primary hormones cortisol and DHEA. 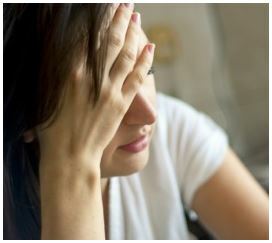 DHEA levels during the day drop around 50% of early levels and cortisol levels drop around 90% by the end of the day. In a healthy individual, DHEA helps to supply energy, enhances libido, functioning of our thyroid gland, and works to improve muscle tone and immune functions. Cortisol works within the body to adapt to stress and regulating certain heart and blood pressure in relationship to stress. However, as we age or experience chronic stress both cortisol levels and DHEA output from our adrenal gland may cause an over/under production of both. At the extreme of each of these levels for cortisol is Cushing’s Disease (overabundance of cortisol) and Addison’s Disease (insufficient cortisol levels). The key to be able to identify these symptoms and indications is patient education. The association between high stress levels and reduced efficiency of your adrenal glands is well documented (evidence based) and early diagnosis and subsequent testing is key to a favorable outcome. Salivary testing is the “gold standard” in testing for cortisol as it is more accurate in accessing free, biologically active cortisol throughout the day. Cortisol testing is done at the time you wake up, noon, around 4:00pm and at bedtime (10:00pm). DHEA testing is done at the time you wake up in the morning as a total aggregate. Results are then plotted and a “cortisol curve” is generated correlating patient results against an optimal curve. Dosing thereafter is based upon a variety of factors including lifestyle issues, supplementation, and need for additional testing (i.e. Pyrilinks-D, Estradiol/Progesterone). 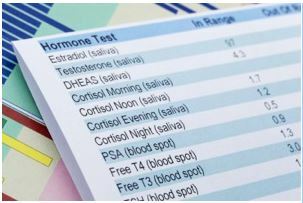 Hormone replacement therapy and use of supplements will need to be routinely monitored.